We survived 24 hours at Disneyland! 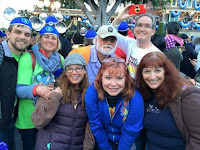 Anthony and I recapped it earlier this week, but now you can relive Disneyland's 24-hour party with Team Mouse Castle. Throughout the resort's 60th anniversary Diamond Celebration kickoff on Memorial Day weekend, My friends and I recorded as much of the craziness as we could, sharing our thoughts and experiences. Hear us take on the Hatbox Ghost, Harold the Abominable Snowman, parades, fireworks and crowds, crowds, crowds. 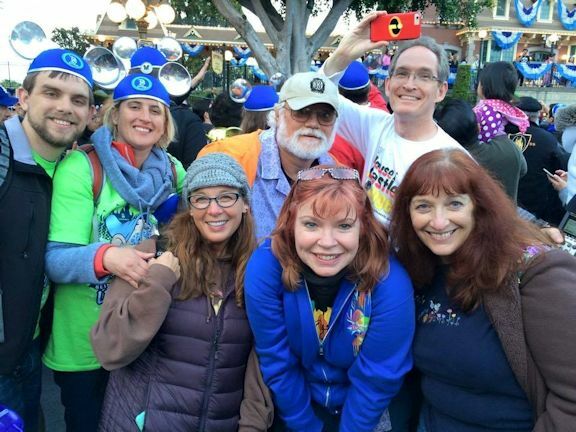 What did we think of Disneyland Forever and Paint the Night? Did we get trapped in Disney California Adventure? Who stole my magic on the Mark Twain? It's an incredible day and night of good friends and insane Disney fun in The Mouse Castle Lounge. 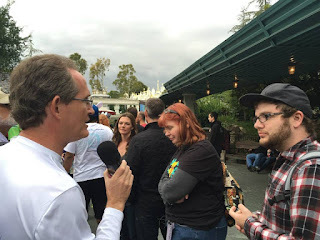 Anthony and me making podcast magic at Disneyland.